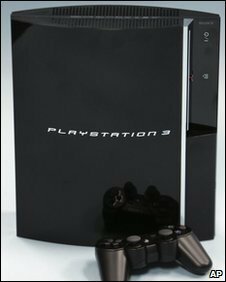 Sony has said that a millennium-style bug that prevented thousands of PlayStation 3 owners from using its online games network has been resolved. The firm said that the fault had been caused by machines that had "recognised the year 2010 as a leap year". The problem did not affect the newer "slim" models of the PS3, Sony said. The Japanese electronics giant had previously advised gamers to stop using their games console until the problem was fixed. "We are aware that the internal clock functionality in the PlayStation (PS3) units other than the slim model, recognized the year 2010 as a leap year," said Patrick Seybold of the firm in a blog post. "Having the internal clock date change from 29 February to 1 March (both GMT), we have verified that the symptoms are now resolved and that users are able to use their PS3 normally." The problem meant that PS3 owners were unable to connect to the PlayStation Network, used by millions around the world to play online games and download movies. It said that if gamers still experienced problems, they should adjust the date settings manually or via the internet. Some have likened the problem to the millennium bug. The problem, also known as the Y2K bug, was predicted to cause a global computer meltdown when computer clocks changed at the end of the millennium. In the end, few problems were experienced after a worldwide effort by programmers to fix the problem in the run up to the date change.